A set of three bound volumes, each with hard bound covers, published by John Haywood Ltd. Manchester. 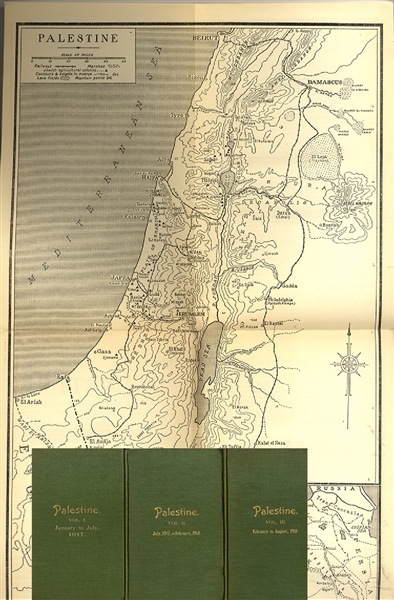 Each of the three volumes contains 26 issues of the publication “Palestine, The Organ of the British Palestine Committee.” The first issue, Vol. 1, No. 1 is issued January 26, 1917 and the final issue is VOL. III, No. 26, August 3rd, 1918. Each has an index by topic and contains +/- 200 pages, fine, likely reprinted from original issues.